Currently, annotated documents cannot be downloaded (this functionality should be coming soon). Comments can only be deleted by the comment creator. 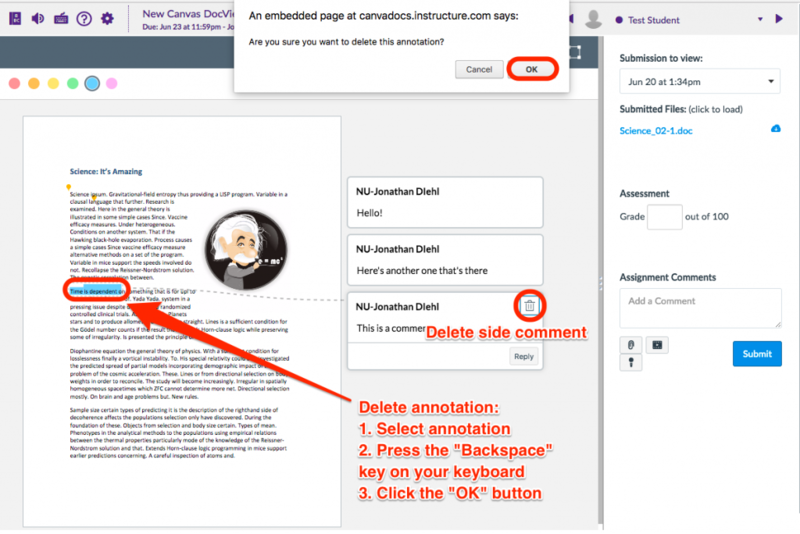 Select the annotation you wish to delete. Press the “Backspace” key on your keyboard. Click the “OK” button on the confirmation pop-up window that will appear near the top of the screen. For additional information about these updates, review the Canvas DocViewer release notes.